"Tiger Woods of the United States looks on from the 18th green during round two of the Dell Technologies Championship at TPC Boston on September 1, 2018 in Norton, Massachusetts." There are a few athletes that make sports photography not only a fun challenge, but have a huge historical impact. Tiger Woods is one of those people. No matter what tournament it is, whether it's The Masters or in this case the Dell Technologies Championship - Tiger is an iconic figure. In writing this, Tiger has won again, but when this image was captured, he was looking for his next victory. When photographing athletes in play, I always like to play with possible story lines in my head. 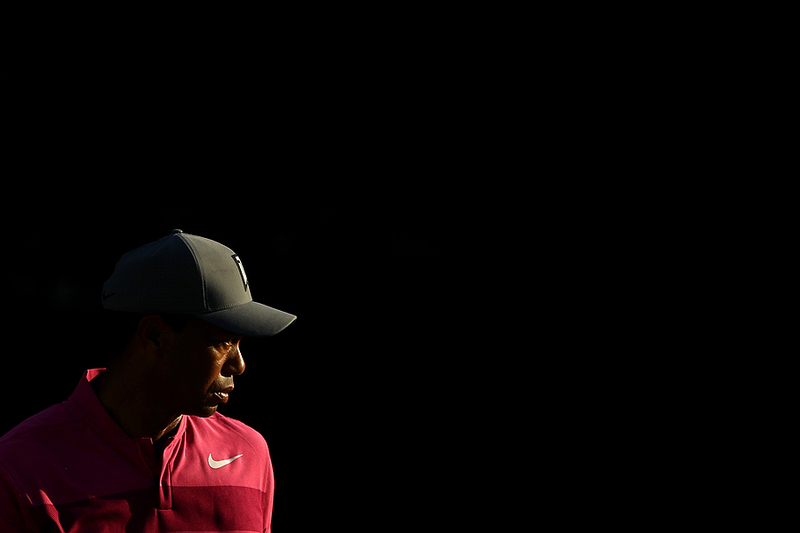 How can a dramatic lighting picture of Tiger be used in future stories? He isn't swinging a club, but his body language and look can say a lot. Tiger looks focused, hungry and determined to get back to the top. His prowl is evident. An image like this can be used so many ways. Everyone loves a comeback story and I'm sure all sports photographers are eager to see how 2019 pans out for him.